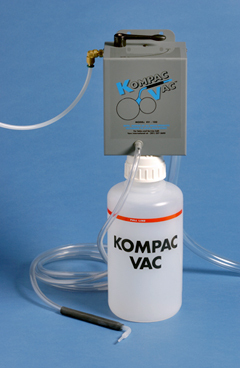 Air-operated, precision solution vacuum, quickly and safely removes used fountain solution, press wash, coating and cleaner from the Kompac unit nip reservoir, fountain pans and trays. Cut your wash up time in half! Remove Coating and Cleaners Quickly without a mess!